This is the item that you were looking for! 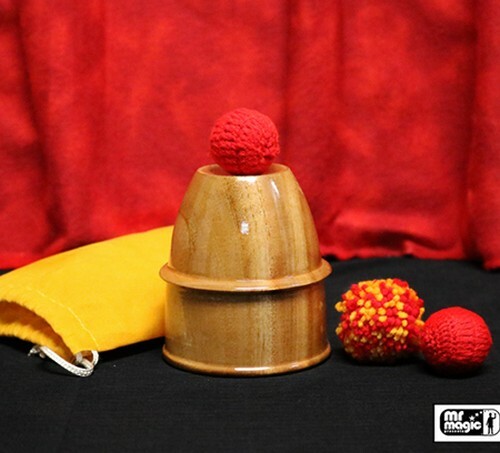 The Chop Cup will enable you to perform some identical and effective routine of classic Cups and Balls with one cup only (instead of three cups, as used in Cups and Balls). You will be able to perform penetration, productions and vanishes of a ball from under the cup freely, in a straightforward and clean-cut manner. This is due to its mechanical construction - a special magnetic cup and a special magnetic ball. So much is possible with the Chop Cup, including ending your routine with a much larger object as the surprise, final load inside the cup!